From elaborate public garden designs and street planters to the smallest front garden, bedding plants provide a temporary decorative seasonal display for beds, borders, containers and hanging baskets. Bedding can be grown from seed, bought as young seedlings (plug plants) or purchased as pot-grown specimens, often in multi-packs and cellular trays, ready for planting. Gardeners planting out carpet bedding at RHS Garden Wisley in late May. Frost-tender half-hardy annuals (HHA) such as cosmos, nemesia, marigolds and tobacco plants, complete their life-cycle in one season. If grown from seed they are generally sown indoors and grown on. Hardy annuals (HA) can be sown outdoors directly into the soil in spring where they are to flower. They withstand frosty conditions without protection. Alyssum, Calendula (pot marigold), Iberis (candytuft) and Limnanthes douglasii (poached egg plant). Hardy biennials (or short-lived perennials grown as biennials) (B) which complete their life-cycle in two seasons include plants such as Alcea (hollyhock), Dianthus (sweet William), Erysimum (wallflower) and Myosotis (forget-me-not). Ornamental brassicas (kale and cabbage) are ideal for winter displays. Half-hardy perennials (HHP) live for several years, usually flowering from the second season. Frost-tender, and often discarded at the end of the season, yet they can be overwintered if given frost protection. Examples include: Bellis (daisy), begonia, Pelargonium (geranium) and lobelia. Note: some perennials, such as Bellis (daisy), busy Lizzies and Viola (pansy) are grown as annuals or biennials. Half-hardy or tender sub-tropical plants such as banana plants, cannas and palms often form a focal point or centrepiece for bedding schemes. Succulents can be useful for creating patterns (see carpet bedding below). Hardy perennials or shrubs such as Erica (winter-flowering heather), euphorbia and heuchera can give valuable flower and foliage colour through the winter months. Saxifraga, sedum and sempervivum are excellent for green roof and vertical modular wall planting. Additionally, agave, dwarf conifers, cordylines, Phormium (New Zealand flax) and ornamental grasses can provide a central focus for beds and containers. Bulbs can be mixed with biennial bedding plants will give combinations of colour in the early spring months. Try planting allium, Anemone blanda, crocus, hyacinth, early-flowering Iris reticulata and tulips. Fashionable since Victorian times, the latest plant introductions and creative planting designs help to keep them popular. Successional planting: Many public gardens change the bedding displays twice a year, replanting in late spring (for summer) and early autumn (for winter/spring). However, the highest-maintenance displays require late spring, mid- to late summer and autumn plantings. Whichever regime you choose, this can be done in small gardens too. For replanting twice a year: try the summer combination of begonia, the flowering seedheads of ornamental grasses (such as Pennisetum setaceum ‘Rubrum’) and late-flowering salvia and verbena. For winter, plant perennials such as bergenia, cyclamen, hellebores and viola to give interesting foliage as well as flower colour during mild spells. 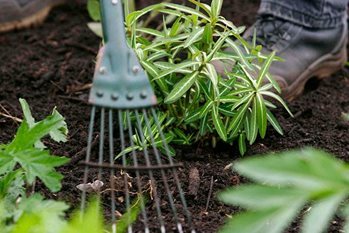 If you are replanting three times a year: plant en masse with tulips and polyanthus for spring; replacing them with nemesia and alyssum for early summer, then cannas and dahlia for late-summer colour. This generally requires well-developed (larger) plants as they have less time to grow and develop in the ground; but can give a fuller display. Formal bedding: Mostly for bold displays in public gardens and sometimes used in smaller ornamental parterre gardens, formal beds usually consist of neat, symmetrical patterns. Formal planting should be used for entire beds, in closely planted blocks of colour (often in association with orderly edging plants such as lobelia or even clipped box). Dahlias, geraniums bedding lobelias, salvias (Salvia splendens cultivars) are some of the plants frequently used. Informal bedding: Bedding plants can be used less formally in the garden, perhaps to brighten up the front of a border or fill bare soil under roses. Straight lines and symmetrical patterns are not compulsory here – it’s more a case of having fun with colour and textures. Carpet bedding: Carpet bedding is the most intensive form of bedding and uses plants that are so compact and tightly knitted that the appearance is akin to a woven carpet. Designs are often technically complex and can include highly intricate displays such as floral clocks, lettering or coats-of-arms. For the home gardener, designs can be much less elaborate, but still effective. To create the look the design, they should first be sketched on graph paper then executed using contrasting, low-growing, foliage plants such as alternanthera, echeveria, saxifraga, sedum and sempervivum. Some public gardens use thousands of plants in carpet bedding and obtain computerised plans detailing how many plants are required and what colour and type of plant. You can transfer this idea to a small scale planting scheme. There are many places to see bedding plants used in displays. RHS Britain in Bloom for more details of award-winning local displays. Sow seed under glass with or without heat from January to early April. Additionally, as soil conditions allow, you can sow seed directly into the soil outdoors from March onwards. Many hardy annuals can be sown in September and overwintered in mild areas. Cuttings of tender perennials can be taken from late summer to early autumn. If you do not have suitable conditions for raising your own bedding plants, many mail order suppliers offer a wide range of bedding plants, sold as young plants or plugs. When these arrive, they need to be carefully removed from their packaging and potted up either into cell trays or 9cm (3½in) pots. Grow on somewhere warm and well lit, such as a greenhouse or windowsill, until the roots have nicely filled (but not crowded) the container. Where the bedding design is made up of large square or rectangular blocks, a simple calculation can be made to determine the number of plants required. The supplier or seed packet should give a guide to the plant’s ultimate spread. By using this measurement as the spacing between plants it is a simple matter of multiplying the number of plant needed along the length of the bed by the equivalent number along the breadth. Should the design use more complicated shapes or be made up of small blocks, it is much more reliable to mark out the pattern on some graph paper first and indicate the position of each plant to scale. This visual approach will help take into account the need to slightly inset the plants around each boundary so as not to have them touching. Gently loosen plants from their trays by pushing them up from the base. Knock out plants from pots by giving a sharp tap to the bottom with the handle of your trowel. Remember to keep your hand securely over the top of the plant when doing this so as not to drop it on the ground! In a greenhouse, damping off of seedlings, cyclamen grey mould and impatiens downy mildew may be problematic. Good glasshouse ventilation and sufficient plant spacing will minimise powdery mildews. Slugs and snails can damage young plants and seedlings. Early treatment of aphids will protect vulnerable plants. Watch overwintered plants, in particular, for signs of vine weevils. All the above books are made available through the RHS garden libraries at Harlow Carr, Hyde Hall, Rosemoor and Wisley and through the RHS Lindley Library.